About Us - Ball Media Innovations - Learn About Who We Are! ABOUT US: Who Will Work on Your Projects? Meet the Team! We only have highly experienced professionals working on your projects! Let’s start with the head of BMI, Greg Ball. 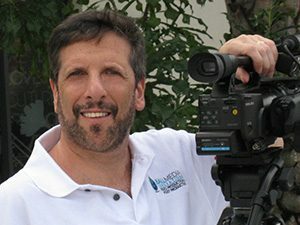 Greg has a reputation for creating highly successful business, corporate and organizational videos seen around the world. 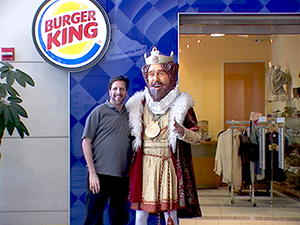 Prior to founding BMI, Greg managed Burger King Corporation’s Worldwide Video Communications department. Greg is regarded as an expert at producing videos for training & business purposes. This is seldom found in the video industry! He has comprehensive knowledge and experience creating videos for sales, training, PR, marketing, speaker support, advertising, corporate communications, human resources, fund raising, employee motivation, franchisee relations, live events, etc. Add his experience and background, along with his communications degree and MBA level courses, and you get someone who’s unusually qualified to create fantastic videos that achieve your goals. Being voted into the “Top 100 Producers” in the national magazine, Video Systems. Being featured in top industry trade magazines such as Markee Magazine and Create Magazine. Greg is also a featured expert writer on the topic of video production for business.com, blogherald.com, and provideocoalition.com. He has the rare combination of business sense and boundless creativity. He’s known for his ability to take his clients’ videos to the next level, while staying within their budgets. Clients find Greg easy to work with. They say that the experience of working with Greg is consistently pleasant and satisfying. See what other clients say about Greg & Ball Media Innovations. Check our Client List page and Client Testimonial page. You’ll have some of the best technicians and artists in the industry working on your project. They’re exceptionally competent, creative, highly experienced and very motivated to do exceptional work for you. All of our crew members have worked extensively on business and corporate videos, and the majority of them have also worked on TV shows and movies. When you hire BMI you’ll see a LARGE difference in the quality of your shows, and your experience will be smoother and easier. Our crews are just right for your needs. You can be confident that those working on your video will have proven track records doing similar work, with extensive histories of success. Corporate and business oriented crews and writers. Crews that know how to shoot in working restaurants. Crews that specialize in live events. Medical video oriented directors, writers and crew members. Our crew members fit right in to your particular environment and culture. 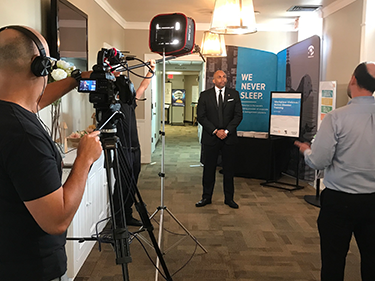 When they arrive at your location you’ll notice that they behave appropriately and professionally, whether they’re shooting the CEO of a company, capturing a manufacturing or installation process, shooting a medical procedure or a live event. National & international service is available. In addition to our outstanding local crews in the Miami, Fort Lauderdale, Palm Beach and Orlando areas, we have outstanding and proven resources throughout the nation and the world. We partner with an international crewing company that we’ve personally worked with for over 20 years to bring you the best. We can shoot at your location, in a studio, or almost anywhere in the world! If your shoot is outside of South or Central Florida, we can either travel to your location with our Florida crew, or we can provide local experienced crews almost anywhere in the world. The result is always the same. Great quality and a successful project for you! We’re known for consistent, outstanding, personal customer service! Throughout the process we do what it takes to show you that we value your business. Honesty, integrity and professionalism describe our company and personal values, and our clients trust us because of it! We deliver quick, clear and friendly communication. We consistently return all of our clients’ calls and emails as quickly as humanly possible. We believe in good manners and we respect our clients. You’ll experience that with us in every phase of the process. Our goal is to make you and your company look good and to help you reach your goals! We actively seek to achieve this in a wide variety of ways. We don’t care about receiving recognition. We don’t put our name in your video’s credits. We want you to receive all the recognition for a job well done. Your success is our success!